Please credit the huz for today’s inventive blog post title! In other news — not to be a downer, but the first half of my day today was just mind-numbingly boring. I need to do something about that. Later this afternoon I had an uneventful dentist appointment, followed by a Whole Foods run. I ran out of Chai this weekend, and have been digging it lately. 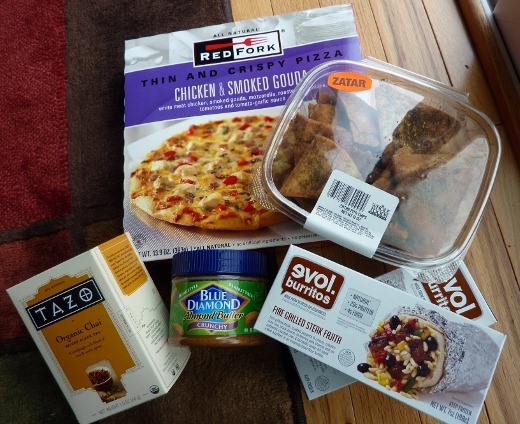 I also picked up a couple more evol burritos that I recently tried and loved, almond butter, Zatar pita chips, and a frozen pizza to supplement tonight’s dinner. Tonight I made Kale Chips again, this time using red kale. 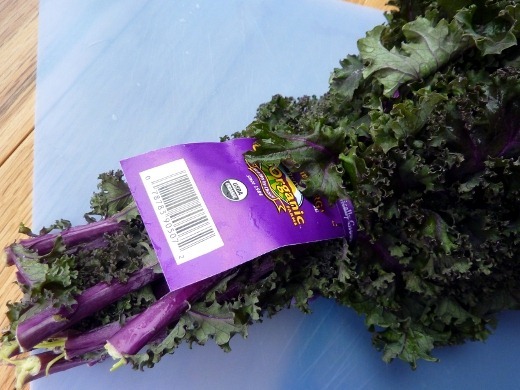 Removed hardy stems from the leaves by ripping off “chip-size” pieces of kale. Washed and very thoroughly dried (using a salad spinner and paper towel) kale. This step is key for crispy chips. Drizzled kale with EVOO and used my hands to massage the oil into all the nooks and crannies. Spread kale in a single layer on a baking sheet, and sprinkled with Taco Seasoning, salt, and pepper. I went easy on the salt since the Taco Seasoning is already high in salt. Roasted at 450 F for 9-10 minutes. 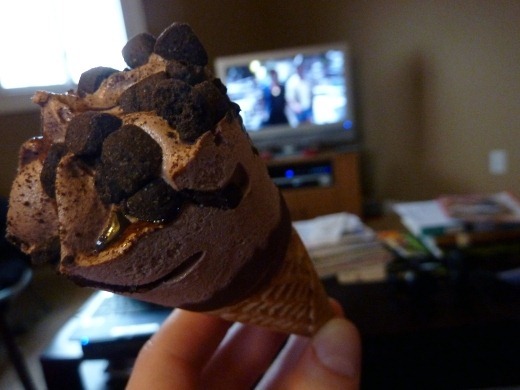 Promptly devour! Best enjoyed within a few minutes of removal from the oven – hot and crisp! Addictive. 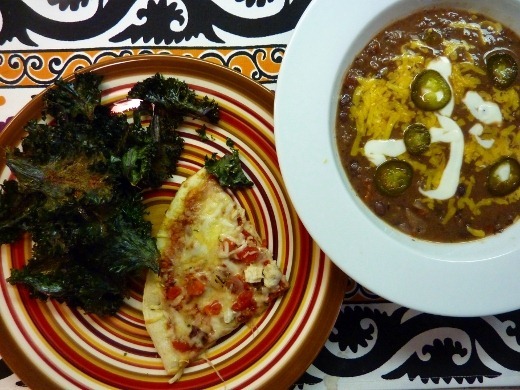 I served the kale chips with leftover Spicy Black Bean Soup and the Chicken & Smoked Gouda pizza (which was tasty!). Oh, and YES, it was still light out during dessert! Love it! We’ve been watching a couple episodes of Arrested Development on Netflix with dinner each night for the last week or so. We are really getting into it! Currently listening to: The Harold Song – Ke$ha. …freaking Ke$ha. Pingback: Pasta with Baby Spinach, herbs, and Ricotta « Meg.Goes.Nom.Nom. Pingback: Blackened Tilapia « Meg.Goes.Nom.Nom. Pingback: Meal Planning for the Week of December 15 – 21 « Meg.Goes.Nom.Nom.